Although it is the depth of winter in North America, it is mid-summer in the Land Down Under, and what better way to brighten your kids’ winter day than a celebration of Australia Day on January 26th? 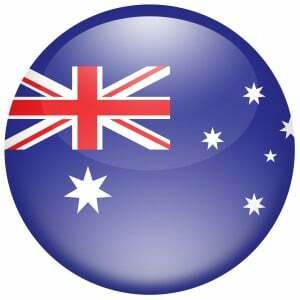 Australia Day commemorates the anniversary of the First Fleet’s arrival in what is now Sydneyin 1788. Every year at this time, the arrival of Captain Arthur Phillip and his ships is celebrated with native dancing, fireworks off the Sydney Harbor Bridge, and parties. You can have your own Australia Day celebration with a few simple activities your kids will love. It’ll be bonza, mate, so round up your kiddiwinks and have a bash, Aussie-style! 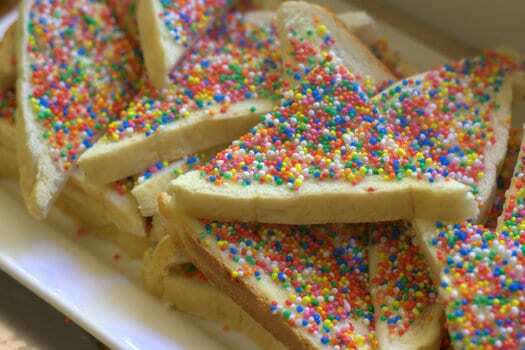 If you attend an Australian birthday party, you will likely enjoy Fairy Bread, a simple snack that every Aussie child knows and loves. Sprinkle with the non pareils. Native Australians are often called Aborigines. They are well known for their paintings, most of which they make by covering the surface of the painting with lots of dots. They used to make their own paints out of dirt, plants, seeds, and berries, so their colors were often earth tones – mustard yellow, brick red, dirt brown, charcoal black. They use this dot painting to make beautiful designs on everything from boomerangs to digeridoos (a large wind instrument developed by Indigenous Australians more than 1,000 years ago). See examples of dot painting and learn more here. Using the Q-tips, have them fill in the inside of the figure with dots, using a straight up-and-down painting motion. 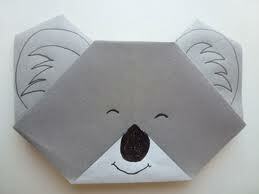 Origami-instructions.com has the instructions for making this cute koala face! It’s my fave origami koala. They have terrific instructions and great photos. Demonstrate the Coriolus Effect with Paper! This video shows a very simple way to demonstrate the Coriolus Effect with simple office supplies you have on hand. One of the most fun things about Australia is the cool way they talk there! Some people think that’s why I married my Aussie husband, but that’s only partially true. He has many other fine qualities. “Strine” is the phonetic way to pronounce “Australian” the Aussie way. Here are some Aussie words on the left and the American (Yank) meaning on the right. Amaze your friends and family with your Jeopardy!-like knowledge of Australia! In land area, Australiais the sixth largest nation after Russia, Canada, China, the United States of America and Brazil. It’s population, though, is really small! Australia is the only nation in control of an entire continent and its outlying islands. It is the smallest, flattest continent on Earth. It lies between 10° and 39° South latitude. Apart from Antarctica, Australiais the driest continent. Did you know that Antarctica is a desert? 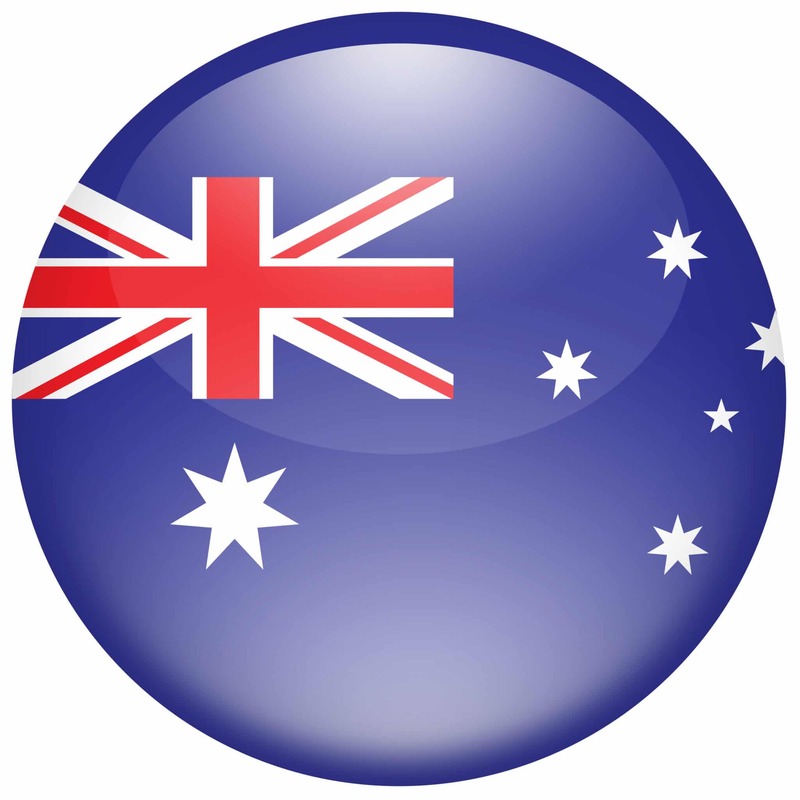 The Australian federation consists of six states and two territories. Most of the borders between the states and territories follow lines of longitude and latitude (except the ones that are the outside – those are formed by the edge of the ocean!). The largest State,Western Australia, is about the same size as all of Western Europe. The capital is Canberra, but the largest city is Sydney. If you’ve ever been toCanberra, you will see that they have this cool parliament building that’s mostly underground. It’s like a hobbit parliament building. Australia lost its Prime Minister one time. I mean that he disappeared. While he was the Prime Minister. He went for a walk, and boom! Vanished. Strange, but true. Learn more here. Where do YOU think he went? Learn more about Australia at the CIA World Fact Book. You don’t even have to be a spy to read it! 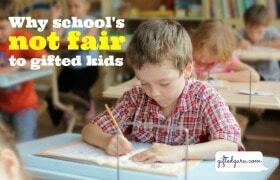 It’s funny how those elementary school units stick with us. 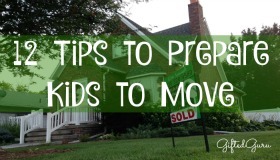 I hope your kids like it!